I really love impact. I am hungry for getting the right answers. When things move, when projects progress fast and when they put our clients in a better position. I just love to see that. Lars is the Founder and Managing Director of TTE. He has led project teams across Europe, North America, the Middle East and Africa. 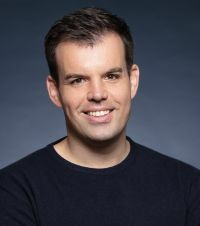 Before founding TTE, he was a Project Leader at Boston Consulting Group (BCG) and gained hands-on industry expertise from working at Lufthansa Technik. Lars is a leader in company transformation and strategy development. His core principle is creating results together. He holds a Master of Science in Management from the Technical University of Berlin and Toulouse Business School. He is also a certified coach from European Business School and has participated in leadership education at INSEAD. Lars is a participant in INSEAD’s Executive Master in Change program.